Use the library catalog (https://pepperdine.worldcat.org/) to find books on your topic. su:Bible films History and criticism. su:Jesus Christ History of doctrines Early church, ca. 30-600.
su:Bible. New Testament Criticism, interpretation, etc. su:Bible. New Testament History of Biblical events. Considers the historical, social and cultural contexts in which the New Testament was produced, exploring relevant linguistic and textual issues. The Blackwell Companion to Jesus features a comprehensive collection of essays that explore the diverse ways in which Jesus has been imagined or portrayed from the beginnings of Christianity to the present day. The Blackwell Companion to the Bible and Culture provides readers with a concise, readable and scholarly introduction to twenty-first century approaches to the Bible. This research guide will point you toward research resources and strategies available to you in REL 101.07 and REL 101.10. Using Information Ethically & Citing Effectively: How to cite resources using the SBL Handbook of Style and how to avoid plagiarism at Pepperdine. After viewing the film, each student will then write a historical and/or theological critique of the film. The essential question should be: Is this film an accurate reflection of the historical and theological vision of the New Testament? Each essay will have a thesis stated in the beginning, which is then argued throughout the body. The student is required to use at minimum three academic sources. All sources must be cited! Use whichever method is used for your major (i.e. MLA, APA, Chicago, etc.) and include a bibliography. The essay should be 1,300-1,500 words (not including bibliography), in 12 point with a standard font (i.e. Times New Roman). Both film choices for this assignment will be available on reserve (DVD) from Pepperdine Libraries. A commentary is a verse-by-verse discussion and analysis of a portion of the Bible. These tend to be arranged by series and each volume within a series covers a Biblical text. The criticism used in commentaries tends to vary by author, volume, or series. ​For more, try searching the Library catalog using this subject heading: Bible Commentaries. These volumes will provide an overview or introduction to a particular topic. Provides a comprehensive resource for the study of the Bible and biblical history. Contains six essential OUP Bible texts, including the latest edition of the New Oxford Annotated Bible, as well as deuterocanonical collections, Concordances, and the Oxford Bible Commentary. Search across multiple versions of the Bible, and compare different texts and commentaries in an innovative side-by-side view. In addition to the Bible texts, Oxford Biblical Studies Online offers quick access to over 6,000 A-Z entries from the Encyclopedia of the Dead Sea Scrolls, Oxford Companion to the Bible, and a number of other Oxford references. Hundreds of images and maps provide visual perspectives of the biblical world. Quick reference answers from more over 2 million entries in more than 242 dictionaries and reference titles on subjects such as language, science, medicine, humanities, social science and business, plus the Oxford Essential Quotations and selected titles from the Oxford Companion series. Offers up-to-date and comprehensive treatment of biblical subjects and scholarship. Focuses on cultural history and methodology. Comprehensive and in-depth encyclopedia entries related to the Bible and its origins, development, and influence. Entries document the history of the Bible's reception in Judaism and Christianity as evident in exegetical literature, theological and philosophical writings, literature, liturgy, music, the visual arts, dance, and film, as well as in Islam and other religious traditions and contemporary movements. 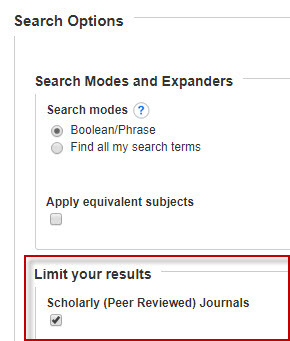 To find journal articles, try using the databases ATLA, which covers Religion periodicals, or Academic Search Complete, which is interdisciplinary. For more on finding articles, click the corresponding tab on the left-hand side of the page. Access to the definitive online tool for film and television research. Subject coverage includes film & television theory, preservation & restoration, screenwriting, production, cinematography, technical aspects, and reviews. The database provides cover-to-cover indexing and abstracts for more than 380 publications (and selected coverage of 300), as well as full text for more than 120 journals, and 100 books. In addition, Film & Television Literature Index with Full Text includes Variety movie reviews from 1914 to the present and over 36,300 images from the MPTV Image Archive.